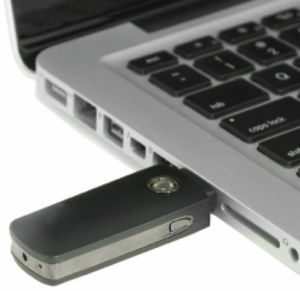 The USB-DVR is disguised as an ordinary flash drive. It functions not only as the DVR, but a 4 GB flash drive as well. It has the capability of recording video at a resolution of 720*480 and still images at 5 mpx. 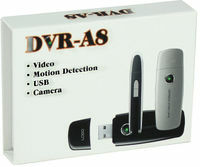 Video can be recorded by using the motion detection feature or by recording continuously. It includes 4 GB of built-in memory and is expandable to 16 GB by using a microSD card. Working time is approximately 90 minutes and charging time is approximately 3 hours. After recording, simply plug the device into any computer running Windows ME or newer or running Mac's OS X. It loads just like a regular USB flash drive and allows you to easily access your videos and other files.